We got in the festive spirit this week at the annual MedEquip4Kids Christmas Sing-along at Manchester Cathedral. The event raised nearly £2,000 to provide medical equipment and facilities to benefit sick or injured children in hospital. After a welcome from Canon David Holgate, our compere for the evening was Brian Carson, who as always did a fantastic job for us. 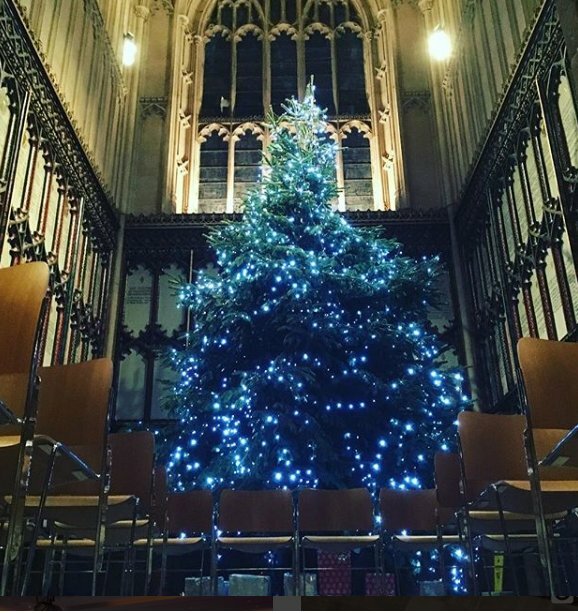 The programme consisted of beautiful performances of Christmas music by pupils from local schools and orchestras, as well as traditional favourite carols for everyone to join in. Thank you so much to all our wonderful young musicians from Buckstones Primary School, Ribble Drive Primary School, Farrowdale House Preparatory School, Gorsefield Primary School, Bury Catholic Preparatory School and Dark Peak String Orchestras. Thank you also to everyone involved in supporting and organising the event, in particular the student volunteers from Manchester Metropolitan University who helped us out with the raffle and refreshments.